Meant for kids this online store is choice of every Indian parent who wantstheir children to look stylish and feel comfortable. Offering its products to children up to 6 years of age hopscotch prove to best clothing sites for cute and loving kids. Hopscotch not only focuses on clothing but believes in offering number of things to toddler. This online store offers party, sneakers, toys, clothing, art and craft, games and puzzles, bags, stationery, hair accessories, socks, jewelry and many more for which your loving child admire for. As it’s about your child so hopscotch tries it best to give you the comfort and variety you are longing for your child. Its range, variation and quality make you unstoppable from buying the products from this clothing store. Hopscotch understands user need and gives them a chance to have wonderful time while shopping on this online portal. Though its range is affordable still keeps on offering its customers with discounts and offers and give them a chance to save money their money and proves to be their best companion. 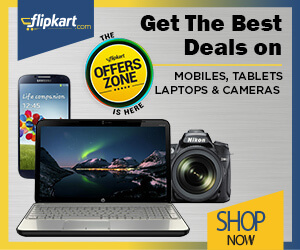 Now grab flat Rs.100 discount on online shopping. Offer is valid on orders amounting to Rs.1,00 & above. Grab the given coupon code to redeem this offer. Coupon code can be used only once per user. Hopscotch is giving you up to 60% off on kid's winterwear. Discount may vary from product to product. Offer is valid for boys and girls. Shop online now and get girls’ clothing under Rs.399. You can choose from Bottoms, Dresses, One-Piece, Bodysuits, Sets, Sleepwear, and Tops shown on the landing page. Please visit the landing page for more details. Now get 30% to 70% off on the Closet sale. No need to apply the coupon code at final payment. Hurry to save the money. Buy kid’s bottom wear like- Capris, Shorts, Denims and Chinos starting at just Rs.120 onwards. Search for brands and categories of your choice. Explore more offers on the landing page. No coupon code is required to avail the offer. Now buy cutie booties under Rs.399. Offer includes top brands Chiu and Indman Booty shown on the offer page. This is perfect for soft feet. Offer is valid for products shown on the landing page. Make a splash with this confidence swimwear. Offer start at Rs.899. These items are best up to 12y kids. Play all day long in these styles! Purchase Sporty Separates by Do Re Me starting from Rs.249. Offer is applicable on products shown on the promo page. Don't miss out. Order online and get 30% to 70% discount on Darling Dresses over 1273 products. No coupon code is required to avail this offer. Discount varies from product to product. Are you looking for accessories for you Cuties? Get pretty festive hairdos starting from Rs.299. No look is complete without these hair accessories. This is best for 3m to 16yr kids. Home decor that celebrated sibling love! Order Rakhi Cushion for Li'l Siblings at just Rs.399. It is the best gift to show your love for your little ones. Shop now and get flat Rs.300 discount on the online order. Minimum order of Rs.2000 is required to avail this offer. Enter the given coupon code at final payment. Offer is valid on web and app orders. Visit the store and get Rs.150 discount on a minimum order of Rs.1000. Apply the given promo code at final payment. Offer is valid on web and app orders. Hopscotch is offering you Rs.300 discount on online shopping. Minimum purchases value should be Rs.2000. Enter the given voucher code at the time of checkout. Offer is valid till 31-12-2019. Visit the store and get flat Rs.300 discount on the online order. Minimum purchase of Rs.2000 is required to avail this offer. Grab the given coupon code to redeem this offer. Offer is applicable on web and app orders. Order online exam boards at just Rs.69. Offer is applicable on selected products. Coupon code is applicable on per product per user. Buy the best for your baby products :In today’s busy world, playing the role of a parent can be very challenging. We all want the best for our babies and children but barely find the time to pick and choose. This is where Hopscotch comes to your rescue. This amazing e-commerce site aims to provide everything that you need for your infant or toddler in the easiest possible manner. Founded by Rahul Anand and Lisa Kennedy in 2011 and based out of Mumbai, this online store has grown to be one of the most popular destinations for all kinds of baby shopping. The special highlight of this site is that it curates collections by sourcing products from local as well as international brands to suit every kind of need as well as budget without any compromise of what you buy for your little bundles. Apart from the wide variety of stuff that you can buy at this online store, you can save a lot with their various offers for both girls and boys. You can also earn cashbacks and save in the shopping process when you choose to pay with bank cards. By downloading their app, you can get exclusive hopscotch app offer that help you save. You can also follow the site on social media like Facebook, Twitter, Instagram and Pinterest for latest offers and deals. Apart from this you can look for online discount coupons that you can redeem at the time of making actual payment which also help you save. You can look through age wise categories according to your baby’s age as well as the Moments and Sale sections for special deals. When mothers shop from this online retail store for their toddlers or babies, they are sure to come back for more. There is more than one reason why this site leads the pack and is one of the preferred ones in this segment. Here are a few. You can expect the widest variety of different baby products all in one place at this store. High genuine quality from reputed brands like Kidkraft, B.Box, Nikiani, Stephen Joseph, etc. is what you can find here. Fresh stocks are added each day to keep monotony away. Apart from garments, you can also buy home décor, kitchen ware, storage, etc. from this store. Busy work lives don’t allow mothers and fathers to spend time at brick and mortar stores and browse through shelves to pick the best for their baby. Hopscotch does it for them by bringing what they choose right at their doorstep with an efficient home delivery system across the world. When you shop at this store for the first time, you can expect a free delivery after which you may have to incur nominal costs for the same. Also, if you shop for Rs. 1500 and more, you do not have to pay any extra shipping charges. Every order is processed within 24 hours and reaches buyers in 5-6 working days. Multiple payment optionsare another benefit that makes it fun to shop from this site. Every payment gateway is safe allowing you to pay online through debit and credit cards and net banking as well even if you use a hopscotch coupon code. You can also pay with cash on delivery. However, do find out whether this facility is available at your location or not. Easy and hassle-free returns is another advantage you get here. If you are not satisfied with what you get, you can return, replace or even request a refund. You can reach customer service on all days between 10.00 am to 7.00 pm by calling at +91 9022191995 or mail at wecare@hopscotch.in for all queries. Every baby is special and Hopscotch understands this beautifully. If you wish to shop the latest for your child, be it clothes, games, accessories, learning tools, school requirements, you can find everything at this one stop shop that promises to bring something new every day, each day so that you are never bored.